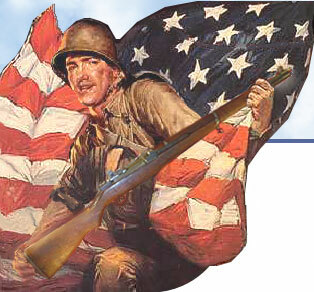 When we bought our M1 Garand Rifles from the Civilian Marksmanship Program, the CMP also offered us the chance to purchase some ammunition as well. 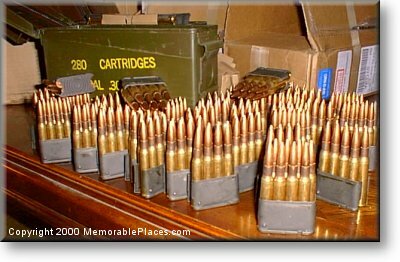 The price was right so we took them up on it and bought as much ammo as they would let us have! This page and the following pages serve mostly as a repository for photographs of what we ended up with. When the CMP sold us our M1 Garand s they allowed customers to also buy one 280-round case of 30-06 caliber ball ammo as well as one 400-round case of 30-06 caliber match-grade ammo. Since we had bought two CMP M1 Garand Rifles we decided to fully exercise our options and get all four boxes. 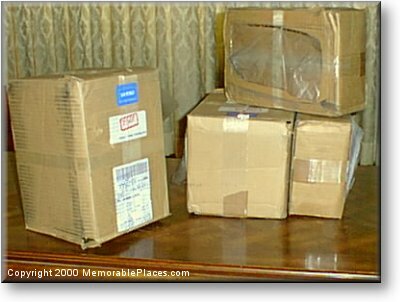 A couple of weeks later, (after our initial M1 rifle purchase had been approved), a knock came on the door and a rather nervous looking FedEx driver brought four tightly wrapped boxes to our foyer. I suppose I can forgive the driver for her slight concern. 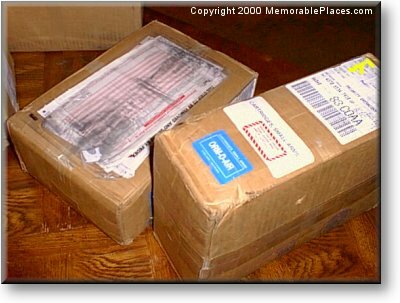 The boxes were marked with 'dangerous materials' stickers and 'hazardous material manifests' were tucked into the glassine pockets. Of course the driver probably thought we were middle eastern arms dealers since 'Cartridges Small Arms' was clearly on another prominent sticker and the boxes were HEAVY.